Make it, hide it, find it, keep it. That is what the February First Friday is all about. Come downtown for Free Art 4U Milly. The First Friday committee has teamed up with the Georgia College Art Department to bring back another year of making, hiding, finding and keeping amazing local artwork. 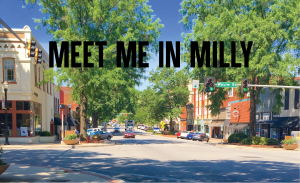 Artists make and hide artwork throughout downtown Milledgeville then Milledgeville Main Street along with the artist will post clues on social media to give clues to the location of the hidden artwork. 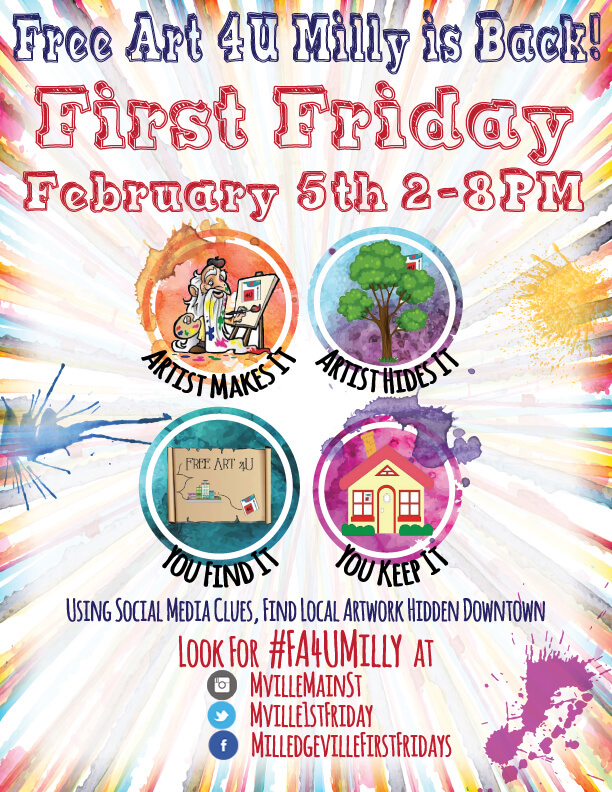 Clues will be posted on the Milledgeville First Friday Facebook page, Milledgeville First Friday Twitter page and the Milledgeville Main Street Instagram page using #FA4UMilly. Each social media outlet will have different clues posted. Art seekers can visit one or all of the social media outlets for clues to a variety of artwork! Art will be hidden inside businesses, on sidewalks, in trees and anywhere else in downtown Milledgeville for visitors to find and take home. To distinguish between free art and a business’s merchandise, art pieces will have a Free Art 4U postcard attached. The free, unique art pieces, created by Georgia College Art Department students and professors, are sure to be a hit this year. Hidden art will also be provided by local artists. Georgia College art classes will be making unique art pieces. Each class will be doing different projects.